This wonderful property enjoys a charming setting in Madrid. 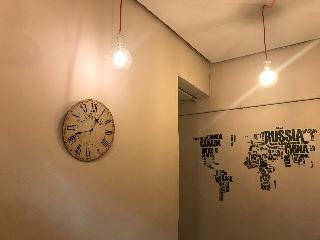 The property is perfect for travellers who are eager to explore this vibrant city. Many of the city's most prominent attractions can be found nearby. A range of shopping, dining and entertainment opportunities are located in the vicinity. 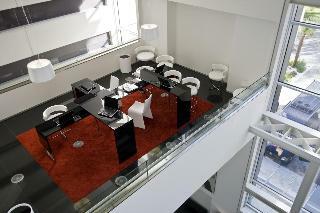 The property enjoys an avant-garde, charismatic design, which is sure to impress. Offering unprecedented luxury and style, this guest house tempts business and leisure travellers alike. The guest rooms are modern and stylish, offering comfort and convenience. Guests are sure to appreciate the high level of excellence that this unique guest house has to offer. Situated next to the airport of Madrid-Barajas, the Axor Feria hotel offers modern and stylish accommodation close to the IFEMA Trade Fair Centre. 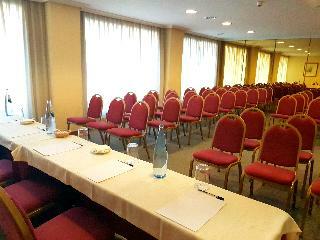 Guests are offered a variety of services and amenities, including free transfer to and from the airport and the IFEMA. The Park Juan Carlos I and a golf club are within easy reach; the centre of Madrid with its countless historic attractions is just a short drive away. This hotel is ideal for business guests and travellers who wish to stay close to the airport. Our hotel 11th Principe by Splendom Suites is located only 300 meters from the famous Puerta del Sol, in the heart of Madrid historical centre, in Barrio de las Letras district and very close to Plaza Mayor, Palacio Real, Teatro de la Ópera, Retiro park, El Prado museum, Reina Sofía and Thyssen Bornemisza museums. 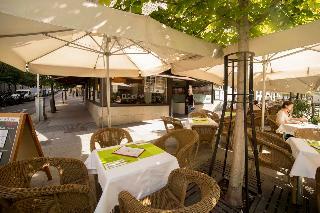 Within one of the busiest and most interesting commercial and gastronomic areas in Madrid. The hotel has an agreement with a Public Parking really close, therefore, guests parking there will have a 20% discount. In addition, the price includes free WiFi, daily room cleaning service, daily turndown service, paid transfer to and from the airport and booking of excursions. 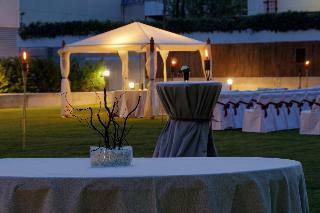 This charming hotel is located just a 10-minute drive from Madrid city centre. Public transport links can be found within 50 metres of the establishment while IFEMA congress centre is some 10 kilometres away. The hotel is well-known for its close proximity to Madrid-Barajas International Airport, which is just a 5-minute drive from the hotel. This property offers a choice of fully-equipped guest rooms featuring all the necessary services and amenities to guarantee a truly comfortable stay. It provides a complimentary shuttle service operating 24 hours a day for travellers' convenience. A breakfast buffet is served each morning while lunch and dinner can be enjoyed from the à la carte menu. Situated directly in the city centre, opposite the Madrid Opera House and just a 5-minute walk from the fantastic Palacio Real, this small, family-run hotel occupies a century-old historical building and is the perfect setting for a truly unforgettable stay in the Spanish capital. In addition to providing modern, spacious and elegant accommodation, where guests can truly relax after a day of exploring the fantastic attractions of Madrid, the hotel is an attraction in itself, with musical evenings featuring Spanish opera singers organized regularly in the hotel's restaurant, and an in-house piano bar. 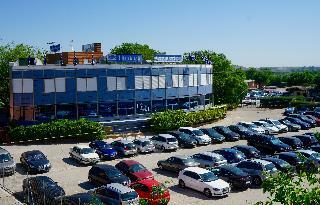 Located in San Sebastián de los Reyes approximately 19 km from Madrid, this hotel is situated close to the industrial areas of San Sebastián de los Reyes, Alcobendas and La Moraleja. Links to the public transport network can easily be reached on foot, being only 100 m away. 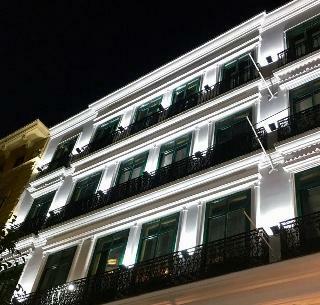 Renovated in the year 2000, this hotel comprises 2 floors with a total of 72 guest rooms. There is free wireless Internet access available as well as a garage for those arriving by car. Drinks and refreshments are served in the hotel's bar. The welcoming rooms come with an en-suite bathroom and are fitted with modern commodities such as central heating. The Globales Acis & Galatea hotel is a select urban accommodation, close to the Adolfo Suarez Madrid-Barajas Airport , IFEMA and the Palacio de Congresos . Perfect place for your business trips. The Wanda Metropolitan Stadium is only 5 km away. It also offers free Wi-Fi throughout the hotel.Cozy boutique hotel in Madrid decorated according to the latest trends in interior design by Esteban Mapi and Cristina Gabás, who have combined the avant-garde of the 21st century with decorative allusions inspired by the mythological theme of Häendel Acis and Galatea's Opera. The hotel is strategically located 5 minutes from IFEMA Exhibition Centre, the Congress Palace and Juan Carlos I Auditorium. Madrid-Barajas Airport is just 5 minutes from the hotel and the city centre is a 15-minute drive away. Built in 2009, the air-conditioned establishment features 217 rooms, all equipped with satellite TV and WLAN Internet access. Air-conditioning and heating are individually regulated for additional comfort. There are rooms suitable for smokers and disabled guests. Pet-friendly accommodations are also provided. The hotel facilities include a fitness area with gym, sauna and hot tub. A massage service is available for those guests who seek relaxation.